- 'DEATH OF THE FAMILY' continues here! 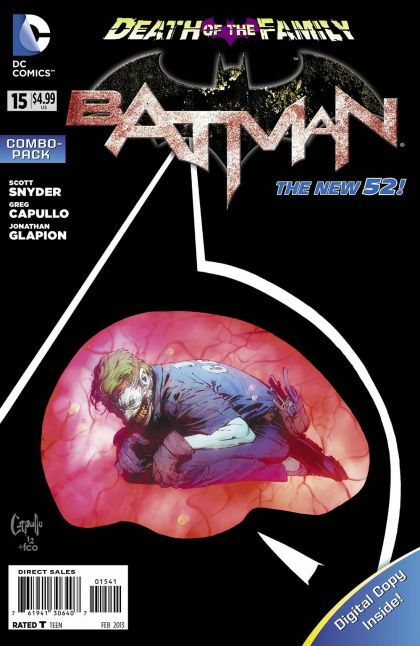 - The Joker's attacks have taken their toll on Batman and his allies, and now they have to face the impossible. - The final madness of The Joker's plan revealed here! Why is he more dangerous now than ever before? - Plus: In the backup feature, witness The Joker's confrontation with the Riddler as the horror of The Joker's plan is revealed. This issue is also offered as a combo pack edition with a redemption code for a digital download of this issue.